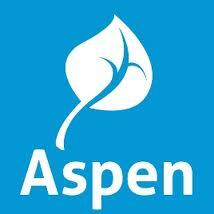 Yesterday, I saw a demo of the Aspen SIS from Follett. For full disclosure, Dylan Holcomb, the Sales Consultant who came out, was a friend of mine from high school, but honestly I wasn’t expecting it to be an SIS that we would be interested in, especially because the price tag is high for the size of school that Highlands Community Charter currently is. But, after seeing how Aspen works, and how they addressed my blog article about the 3 features that SIS providers are missing, it is on our school’s radar as a potential. Here is a quick review of what I was impressed with, and what things I still think they could do better. It would be good for many universities to have Masters students to have the option of repeating a previously published study as part of their graduation requirements. This would help prepare these students to do better original research as part of their doctorate, as well as contribute to the field in a meaningful manner. Yesterday, I posted about the concept of Virtual Onshoring, and how I believe that a university from a developing nation could use this concept to serve the U.S. market, which could lead to significant economic gains for the developing nation. But how can they do this, and what is stopping them right now? The following is a summary of what I see would be necessary to succeed. I first coined the term Virtual Onshoring in an Open Letter I wrote to Paul Kagame of Rwanda, in 2008. The idea is simply that with power of the Internet, we are now a “global village”, and anyone who has intellectual goods or services in a developing nation, can sell them to customers in more developed nations, in a manner that would be no different than if they were actually located in the developed nation. This could be very lucrative in the online higher education market, since the University of Phoenix alone makes over a 1/2 billion dollars per year in profit! It still seems amazing to me that there hasn’t been more “virtual onshoring” of online universities to lucrative markets, such as the United States. For instance, while the University of South Africa offers relative high quality doctoral programs at a fraction of the cost of U.S. universities, it has not done many of the relatively basic things (such as gaining U.S. accreditation) that would allow it to be much more successful, and potentially earn millions of dollars. Thus, I believe that whichever developing nation realizes that they could dramatically improve their economy through the virtual onshoring of education, they have a chance to dominate this niche.